A special unity of spirit and fellowship infuses student life at PHC with a sense of comradery like you’ll find at few other colleges. Our corporate chapel services, which are held Monday, Wednesday, and Friday from 10:20-11:00, are weekly devotional times where the campus gathers together to praise God and to hear His Word. Chapel messages are given from a variety of faculty, staff, local ministers, and other guests. 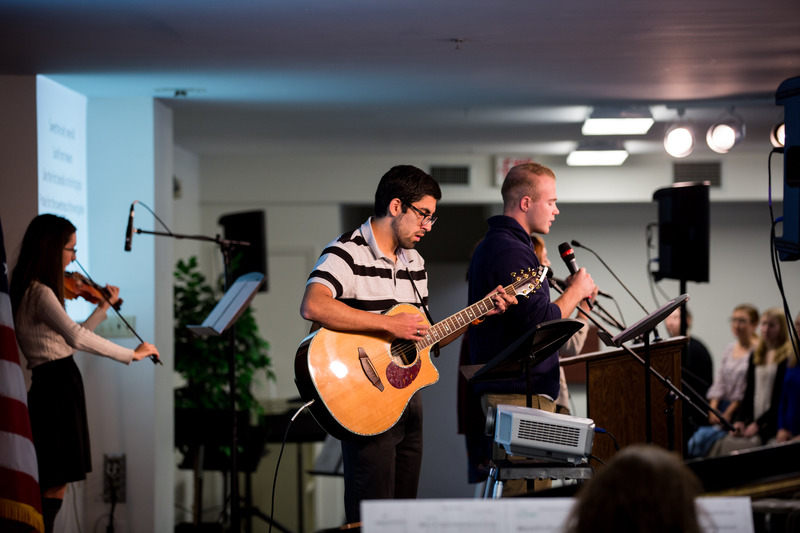 Our Worship Guild is made of students who plan and lead worship. 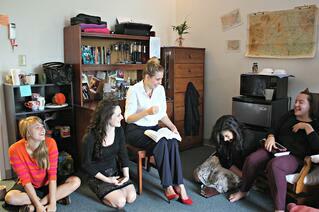 Wing Chapels are small groups that meet on Tuesdays and Thursdays from 9:40-10:20 a.m. Led by student Resident Assistants, Wing Chapels give students the opportunity to study God’s Word or other classic Christian devotional works on a more personal level. Some groups choose to read through the Bible together, while others do topical studies, bring in guest speakers, read devotional literature, share corporate worship, or go for prayer walks. "Going to college is perhaps the first time many young people begin their own personal walk of faith, not relying any more on their parents' faith, or their Christian friends'. Start out right and continue on that course. By taking advantage of all the spiritual life opportunities at Patrick Henry College and surrounding churches, your commitment to Christ will grow and will be founded on the Rock, on which you can firmly stand no matter what happens in your life." Patrick Henry College realizes that the college years are a time of cultivating lifelong spiritual disciplines and developing a Christian worldview, and for that reason PHC encourages its students to commit to a local church congregation as soon as possible after arriving on campus. In an attempt to facilitate students finding a church body, PHC keeps an extensive list of local churches on its website and frequently invites pastors from the community to speak in chapel. Some churches send vans to campus on Sundays to provide rides for PHC students, and individual students coordinate rides for those without transportation. 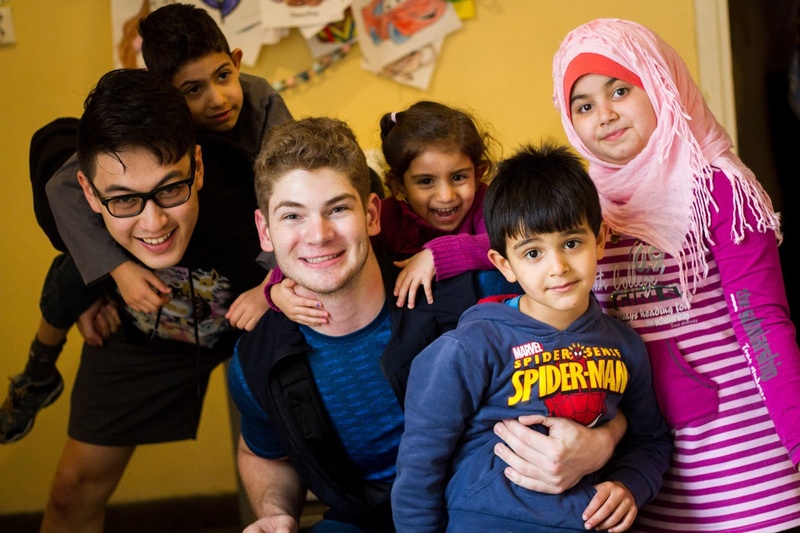 PHC students travel across the globe during Spring Break to spread the gospel to those in need. Sending students on trips carries out PHC's mission of preparing Christian leaders to faithfully lead in their own communities and around the world.